The Karoo has many beautiful places and as I travel I find it hard to choose one over the other as all the places have a quality unique to its personality and sense of place. However I was very fortunate to meet the owners of Quaggasfontein Guest Farm on one of my visits to Colesberg. Quaggasfontein is an amazingly beautiful farm and a private game reserve which was established on 25 000 acres of pristine Karoo veldt. Quaggasfontein is situated in the heart of the Upper Karoo area, approximately some 27 km from the town of Colesberg in the Northern Cape Province of South Africa. The gravel road is well kept and quite accessible with a normal vehicle, as long as you do not drive too fast. To my delight, I found the owners to be very down to earth, warm hospitable people and totally in love with their Guest farm, the nature that surrounded them, as well as the game which roams the farm. I must however warn you that a weekend might not be enough as the peace and tranquillity overwhelms you and settles in your whole being. The result being that you find you do not want to leave. While sitting under one of the large old trees in the garden with the breeze softly moving over you, the stillness of the Karoo and that of the farm Quaggasfontein captures your senses and makes you feel one with nature. This is also the ideal holiday, wedding and honeymoon destination as it is private, and has all the amenities for a lazy relaxed honeymoon or just to chill. 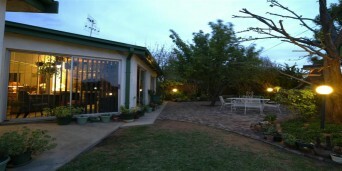 The guest farm has ample accommodation available. 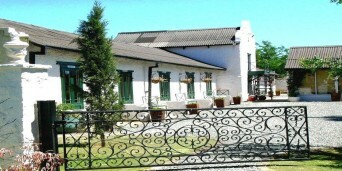 It would also be the ideal “Team” building venue for companies, or small conferences. Quaggasfontein is a definite must to experience, where one is able to enjoy extensive range of fauna and flora in luxurious, relaxed and exclusive environment. The farm was aptly named as Quagga’s are an extinct species of Zebra, while the name “Quaggasfontein” means “the drinking fountain of the Quagga’s” One of these fountains is now the direct source of “aQua Crystal” mineral water being bottled on the farm and available for purchase. Very interesting, I found that most people think that a Quagga and a Zebra are one and the same species, however that is not the case as the Quagga is a sub-specie of the Burchell’s Zebra. This was revealed through extensive DNA tests conducted as to the Origin of the “Quagga”. The Quagga however differed from the Burchell’s zebra mainly through the degree of striping. The Burchell’s Zebra has black stripes on a white background over its total body whereas the Quagga’s stripes are paler towards its hindquarters. As the inter-spaces between the stripes became progressively darker towards the Quagga`s hindquarters, the stripes and inter-spaces merged into a plain brownish colour. Taking into account the relationship with the Burchell’s Zebra, the South African Museum in Cape Town embarked upon a project to breed Burchell’s Zebras with progressively lesser stripes on their hindquarters. The researchers were hopeful that in due course the same colour pattern as the Quagga could perhaps be re-created. At Quaggasfontein the private game reserve, wildlife and their environment are as important to the owners as to their esteemed clients and you can sense the pride they have in the animals and their environment. The owners strive vigorously to maintain this state of affairs in order that game may be viewed and photographed in their natural habitat and at close range. The animals are really stress free as they are not subject to traffic passing and are very tranquil and fairly tame, however one must always remember the necessary caution must always be taken when dealing with wild animals. At Quaggasfontein the surplus animals are sold for breeding purposes to other reserves and the gender ratio is usually two or three male animals in a parcel of ten. Consequently, a limited amount of hunting is allowed in order to reduce the numbers of those male animals where the bachelor herd sizes have become too large or to eliminate older animals – male or female – that would naturally have fallen prey to predators like lion and leopard, which no longer exist in the area. However, in keeping with their philosophy of not disturbing the environment too much, all hunting is conducted to the highest ethical standards and bow hunting or hunting with silenced firearms is the preferred method of hunting. 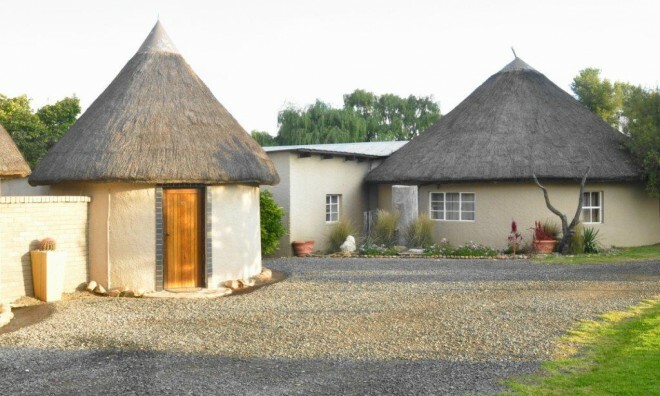 When driving to Cape Town or to Bloemfontein, make sure you have extra time to explore this beautiful tranquil farm, and see why the owners are so in love with Quaggasfontein. I can assure you that you will arrive as a stranger but will return as a friend. Enjoy! 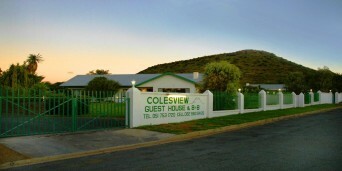 If you are looking for a quiet, secluded location to escape into and enjoy your well-deserved holiday, then accommodation in Colesberg should be among your first choices. 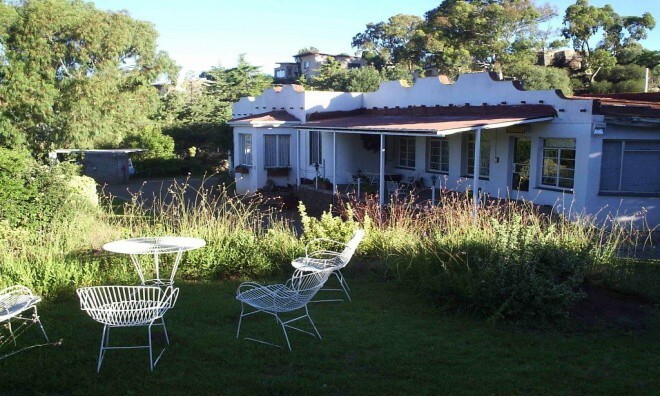 Discovering the types of accommodation on offer and what the town has to offer is made possible through Discover South Africa's excellent service, as we strive to find the best option that caters to your budget and preference. Colesberg accommodation will afford you access to stunning scenery and national monuments that are open to any intrepid explorer. 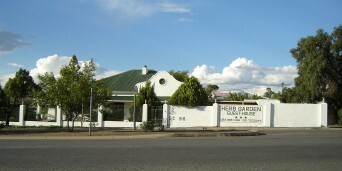 Located along the N1 between Cape Town and Johannesburg, Colesberg is set against the backdrop of the Karoo, a semi-desert blessed with a widespread diversity of fauna and flora. 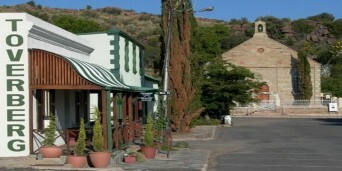 The magical Coleskop, one of the many kopjes surrounding the town, can be viewed from approximately 40km away, and as you approach it, it seems to never get any closer. 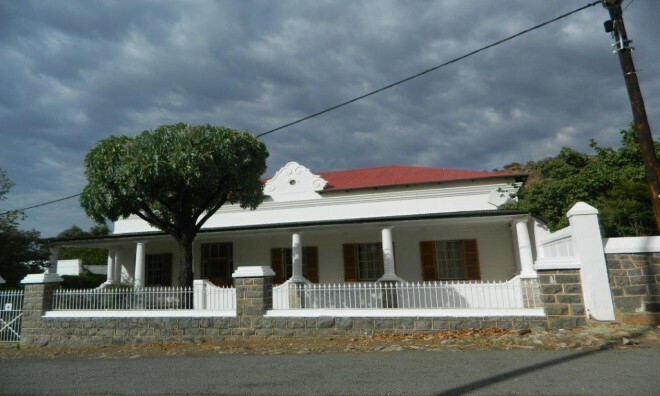 Once you have settled into your Colesberg accommodation, you may want to visit one of the town's national monuments such as the Colesberg-Kemper Museum. Relics and fossils that date back to the era of dinosaurs can be found on exhibit in the museum. Further exploration of the kopjes may have you stumbling upon Stone Age artefacts as well. 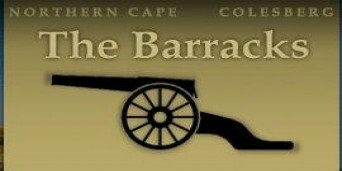 As your accommodation in Colesberg is nestled in the Karoo, you have the prospect of viewing archaeological sites that hold the story of South Africa's early history. Being in a semi-dessert doesn't mean you can't enjoy water sports, as the Gariep Dam holds approximately 5 953 cubic metres of water, drawing crowds of water sport fanatics from in and around the Karoo. 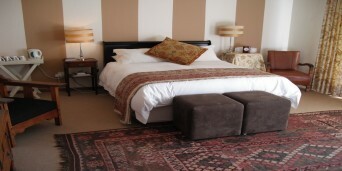 The accommodation Colesberg has on offer is as visually appealing as the scenic locations surrounding the town. Boutique guest houses, lodges and bed & breakfast accommodation are around every corner, and Discover South Africa has selected the finest and placed them here for you to select. Let Discover South Africa help you search for the best accommodation in Colesberg, the Northern Cape and the rest of South Africa, and get ready for an adventure of a life time.